Complete your OOTDs with a chic and casual style. With summer just around the corner, all of us are surely getting ready to slip into our sundresses, one-piece swimsuits, and flip-flops. The changing of the season calls for a wardrobe refresh–it’s all about lightweight pieces that will leave us cool during super hot days now! One shoe style that always blows up this season is the espadrilles. 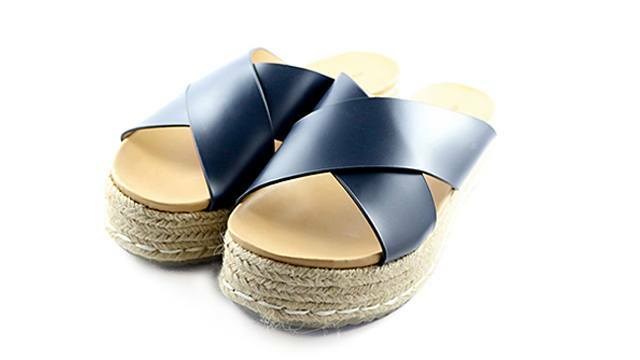 The summer shoe trend is perfect for those aiming for a comfortable, casual, but still stylish look that pairs well with all our summer OOTDs. Not only is it easy on the feet, it’s also versatile enough to be paired for day and night outfits. Local brand Mendrez gives a refreshing new spin to the go-to summer shoe with their newest collection. Featuring three styles, these must-haves are perfect for injecting a relaxed vibe to every outfit. The classic criss-cross design of this slip-on is something you can definitely take to the mall or a pool party. Pair it with cut-offs and a plain tee, and throw on some oversized sunglasses to channel some classic girl-next-door charm. 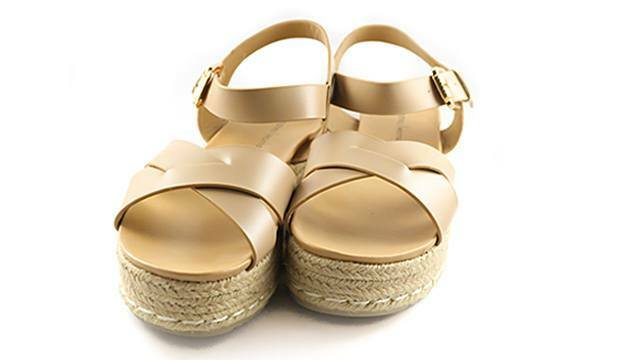 Swap you heels for this strappy pair of espadrilles! With the extra support around the ankles and the comfy platform soles, it elevates your look while keeping you on your toes from day to night. We’d pair this with a tucked-in blouse and high-waist culottes for a polished office ensemble, or a floral cold-shoulder dress for date night with bae. The simple design of this pair is perfect for low-maintenance girls who are all about effortless style. Wear it with cropped trousers or ripped jeans for that cool-girl stance. To be honest, we’d even wear this on our next beach trip—with a cute cover-up over our swimsuit, of course. For more information about Mendrez’s newest collection, click here.